A new 5 episode David Attenborough series on the Eden channel later this month. It takes a different approach to other series, concentrating on 2 of natures ‘curiosities’ each programme, which have something in common. Episode 1: Stretched to the Limit looks at the long insect catching tongue of the chameleon and how the long neck of the giraffe helps it reach leaves high in the trees. Episode 2: A Curious Hoax looks two creatures that caused scientists to not believe their eyes: the midwife toad, an amphibian that carries its eggs around on its legs and the platypus, an animal that looks like a Victorian hoaxer had sewn the head of a duck and the tail of a beaver onto the body of an otter. Episode 3: Young Wrinklies looks at the wrinkly skinned elephant and the bizarre molerat, and how this features gives them longer lives. Episode 4: A Curious Twist looks at the twist or spirals that form a snail’s shell and narwhal’s tusks and how it plays an important role in their lives. The first episode Stretched to the Limit starts by looking at a favourite animal of mine, the chameleon. 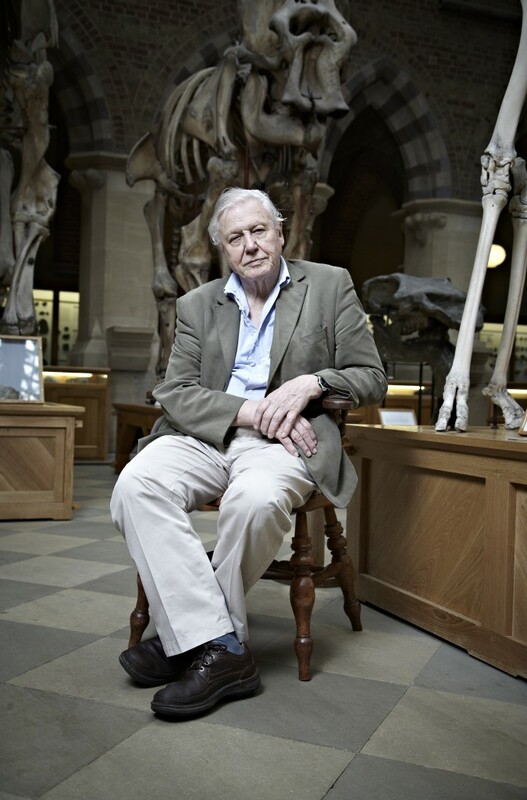 Exploring the history of its study, Sir David explains how it was once seen as a creature “constructed by the by the devil” from pieces of other animals with a monkey’s tail and a crocodile’s skin. The episode moves on to their remarkable skin colour changing ability, how they do it and they ways it which they use it, along with those unique eyes, which operate independent of each other, giving remarkable all round vision. The focus though is on that fantastic tongue. This is illustrated with a fantastic preserved specimen. The mystery of how this tongue works is then explained using some neat CGI followed by a nice bit of slow motion footage. The programme moves on to the second part on the giraffe, which starts with a nice panning shot of the giraffe skeleton in Oxford Natural History Musuem (look out for the cyclops inspiring skulls of elephants behind!) and its extraordinary neck. The remarkable story of a giraffe called Zarafa, which was a present given to Charles X of France from the Ottoman Viceroy of Egypt, and how it was walked from Marseilles to Paris forms the basis of the 2nd half of this episode. Within this story the biology of the giraffe and its the adaptations that let it cope with such a long neck, such as its powerful heart and valves in its veins that stop blood running to its head when it is lowered. They also point something that is often missed about them: their very long legs. In conclusion a fascinating programme which revealed some stories, both historic and biological, behind these creatures that were new to me, using a nice mix of library and good original footage and CGI. I liked the use of preserved specimens to illustrate features of these animals, something that worked well in ‘Nick Bakers Weird Creatures’ series too. All of this is presented in the way only David Attenborough can. Well worth a watch and bodes well for the rest of the series.